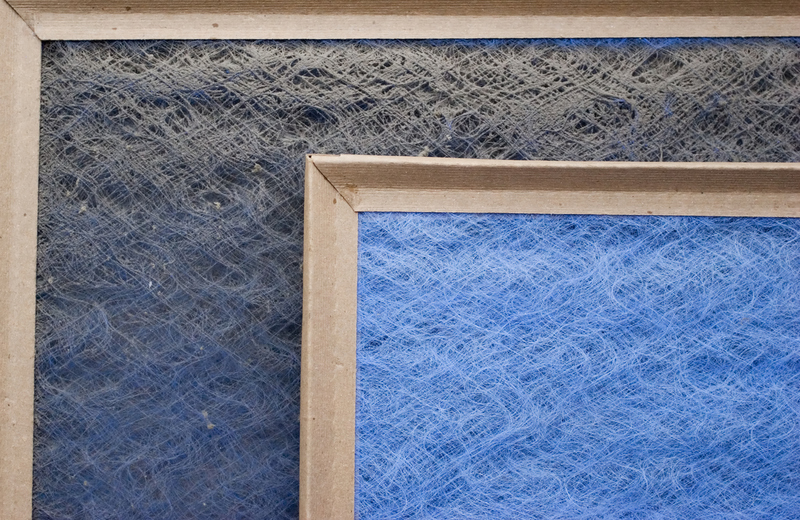 Your AC filters can be a great tool for cleaning particles such as dust from your air. The AC system may draw all the air in your home through it several times per hour (a concept called “air changes per hour”). This means that the air in your house regularly passes through the air filters at the intake registers. However, that doesn’t mean using supplemental measures to improve air quality isn’t a worthwhile endeavor. But when you’re looking for supplemental air-purification techniques, don’t choose tactics with zero evidence to back them up (such as using a salt lamp to ionize the air). You may have heard that bags of activated charcoal can sit in various corners around your home and purify the air. Unfortunately, without air actually flowing through the charcoal, bags of charcoal are unlikely to do much more than passively (and slowly) absorb some odors.But that doesn’t mean that activated charcoal, also known as active carbon, isn’t an effective air-cleaning material. It can in fact be highly effective when used in air filters. You can buy freestanding air-cleaning units that force air through active carbon filters, maximizing its filtration and absorbing qualities. These air-cleaning units are especially great for odors such as pet smells.Another product that can be useful is active carbon filters that fit into the air vents which blow air into your house from the AC system. Check with your HVAC contractor before installing these to make sure they won’t reduce airflow too much. Many people believe that the air outside is more polluted than the air in their home. After all, the outside air contains exhaust fumes. But the reverse is actually true most of the time, even in cities. That’s because the air inside your house is such a small amount compared to all the air outdoors, and daily indoor activities create more pollution than you’d think.For example, any people and pets who live in the house shed skin cells and hair, creating dust. Cooking puts humidity and smells — and sometimes even smoke — into the air, and dusting, sweeping, and vacuuming stir up dust from any dirt that’s been tracked into the house.Depending on where you live and what time of year it is, opening the windows won’t always be the best option. But opening windows regularly when you can, such as on cooler nights in the summer, can help sweep out dirty air. Spraying an air freshener into the air may cover up a bad smell, but it may also introduce harmful chemicals into the air that could irritate your respiratory system. Cleaning your bathtub is necessary, but using bleach may not be.Whenever possible, think about whether chemicals are necessary before you spray. Choosing a homemade cleaner made of lemon juice, dish soap, and water for daily use (even if you still use stronger chemicals on occasion) can help cut down on the volatile organic compounds (VOCs) present in your air, reducing indoor pollution even further. These three tips can help you thoughtfully improve the quality of your indoor air by making use of natural products and methods. Keep in mind that your AC duct system has a big effect on air quality as well; if it’s full of dust, that dust could blow through your home each time the unit turns on. Climate control and air quality are our specialty, and we’d love to discuss your indoor air quality and how our services can support high-quality indoor air. If you’d like recommendations on top-quality AC filters or if you need a duct inspection or cleaning, get in touch with Mauzy Heating, Air & Solar today.